It’s Monday, the busiest day for any online business, as we need to process all the orders that came in over the weekend. And answer all the emails too! And that’s actually what today’s blog post is all about. You know that I always welcome emails & comments from my blog readers – ALWAYS! I have personally replied to every comment left on this blog (thousands!) and the same goes for every email that’s sent to me asking for help. That’s not even considering my customer emails and comments left under videos in EAB video course or in the forum. And this is all completely fine! I really like to help people out and share my knowledge, and of course it helps to make this blog more of a community rather than just a platform purely for my own opinion. Seriously, sometimes I feel like I’m the only one who uses Google & YouTube to find answers to something I don’t know or to learn a new skill (YES, I don’t know everything and still have to learn new things & skills every day!). 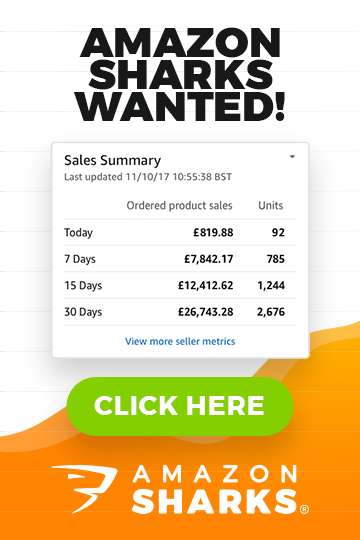 How much does eBay’s basic shop cost per month? How fast does DHL deliver from China to UK? Does Turbo Lister work on MAC? How to resize an image in Photoshop? What shipping methods qualify under the FAST & FREE feature on eBay? Can I open more than one eBay account? What is the cut off time for Christmas delivery with Royal Mail? What is the difference between air freight and sea freight? 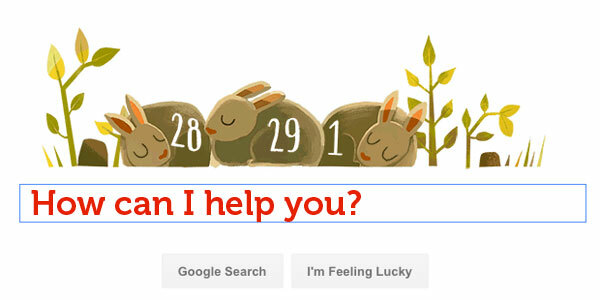 You can get answers to all of these questions simply by doing a Google search. In fact, in many occasions, the results will include a post from MY BLOG that covers that question in detail (for example the Turbo Lister & MAC dilemma or image re-sizing, for which I have multiple extensive guides). And not only that – Google will also show related posts from my blog in the remaining search results. So this is a very handy way of looking for a post I have already made in the past covering the topic you’re interested in learning about. 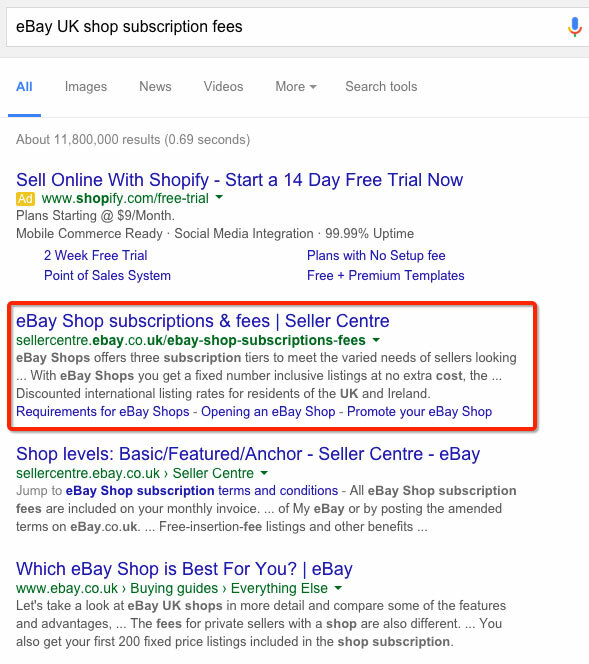 Make sure to add the UK part or simply eBay.co.uk to get results from UK based eBay help pages. If you’re in the US, you would use eBay.com, if in Australia – eBay.com.au and so on. And this works for almost any basic question you may have! Sure, there will be topics/questions that are much more complicated and you won’t be able to find an answer by doing a quick Google search – and that’s fine! Luckily you still have me and you can send me your question via my help desk here! It goes without saying that I am more than happy to help whenever I can. I just wanted to illustrate that sometimes people don’t even try to do a little bit of work for themselves and instead opt for the lazy, “easy” approach and hope someone else will do the work for them. YouTube is another, SUPERB resource which you can use to learn new things. 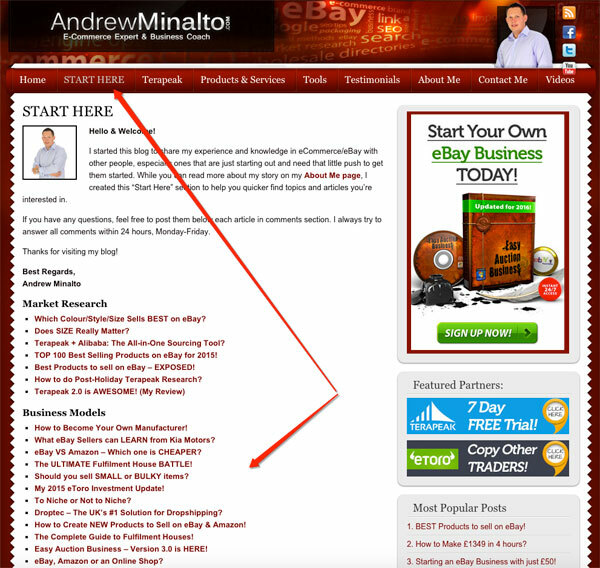 Yes, it may come as a surprise that YouTube isn’t just for dancing cats and tech product reviews but there are millions of how to guides and tutorials available on YouTube, all 100% free for you to watch and learn from. For example, last week I started learning how to use Adobe Illustrator CC – the world’s most popular vector creating/editing program. I went to YouTube and quickly found FULL courses teaching Adobe Illustrator! Hours upon hours of video lessons, all for free! In less than one day I basically learned the software inside out! I’m not and won’t be a designer any time soon (not that I even want to be) but I’m now familiar with how everything works in Illustrator and can create and edit files, save them for web/print use and utilise many more of its functions. To sum it up – we’re INCREDIBLY LUCKY that we have the internet at our disposable nowadays, filled with valuable resources. The only thing you really need to learn is how to FIND that information! 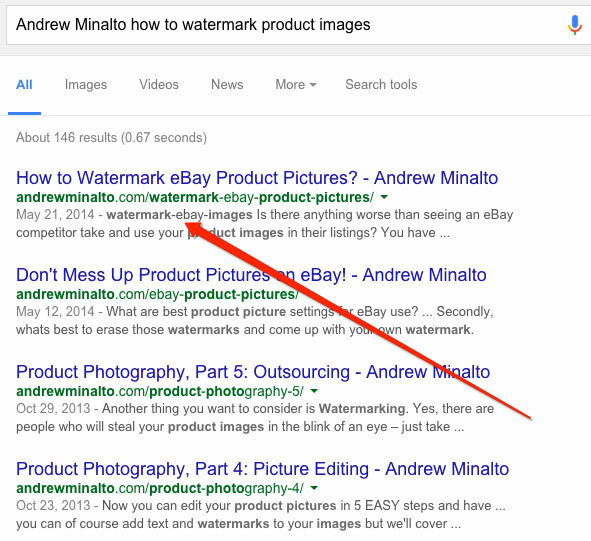 By doing this, Google will only show pages that has ALL of that phrase in the page’s text. But do this ONLY if a default search doesn’t give you the answers you’re looking for, otherwise you may limit your search results too much and won’t actually get the best resources. Okay, that’s it for today! Hopefully this will have reminded some of you about a very simple, and maybe slightly forgotten, way of learning new things using Google and YouTube. Of course I’m always here to help so if you can’t find an answer to the question you’re looking for, you’re more than welcome to contact me via the help desk here. 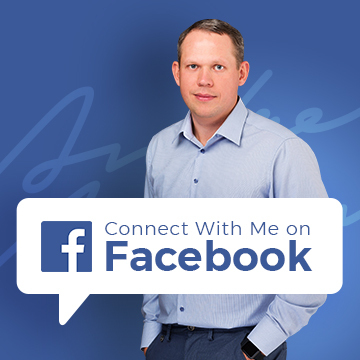 I’ll personally answer your question within 24 hours, Mon-Fri and the best questions will be featured in next week’s Questions & Answers post!